Is it worth celebrating a leather strap? Because I really, really want to! 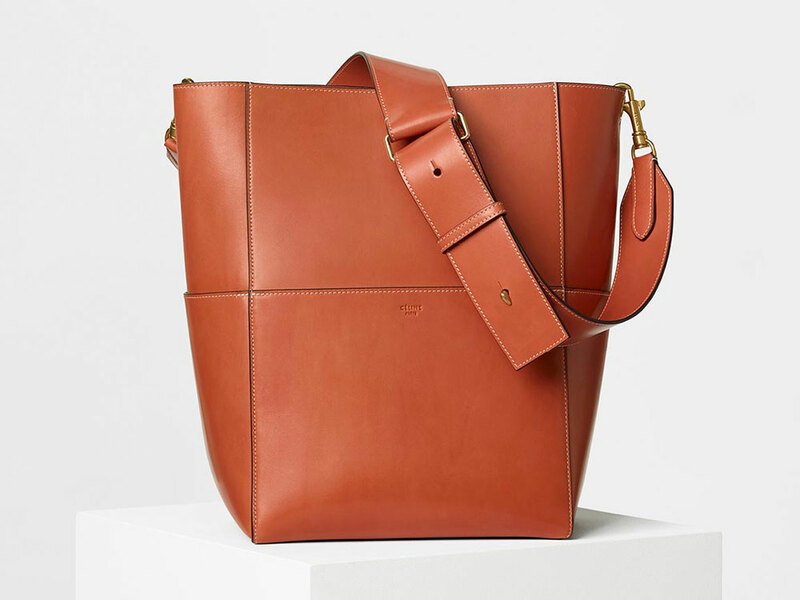 We kinda like the Sangles, but we did mention that the only thing odd about the bag is the wool shoulder strap. 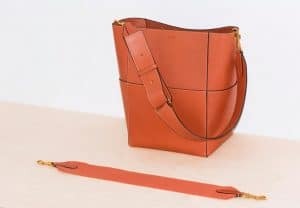 But, the Spring 2017 collection sports a couple of colors with a strap option in full leather for crossbody wear! It’s a minor tweak. But what’s odd is not all colors get a leather strap. 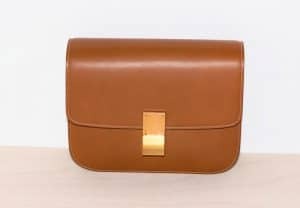 Just the natural chestnut brown, and the terracota natural colorways have both a wool shoulder strap, and a full leather shoulder strap you see in this post’s pictures. All other colors only come with wool shoulder straps. I’m sold with the Sangles. But it doesn’t feel like a Spring 2017 piece. It feels like a now piece, for all Sangles! Give us leather straps! I’d feel odd if we find Cèline trying the strap market. I have no idea why Sangles have removable straps in the first place. 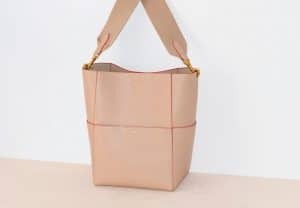 Sometimes I know a bag is great from stock images, but usually I need to see a piece in person to really know whether or not I connect with it. 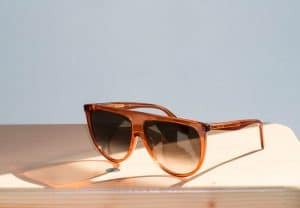 After all, stock images can be deceiving in both good and bad ways–well-taken images can make an average bag look luxurious, and poorly taken images can make a gorgeous piece of craftsmanship look average, and maybe even cheap. In person, though, all is revealed. While helping my best friend look for the perfect non-traditional wedding look last weekend, I found myself in the handbag section of Barneys, as one does. 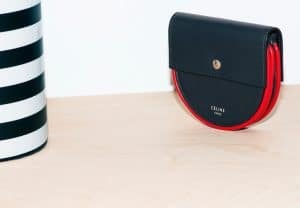 She and I have similar taste in bags (for example, on this particular day, we were both carrying medium-size burgundy top handle bags with crossbody straps), and our attention turned to the Céline Sangle Shoulder Bag. She had considered getting one when she bought her last bag, and although I’ve always liked the bag in photos, this was my first experience with it in person. I was impressed. 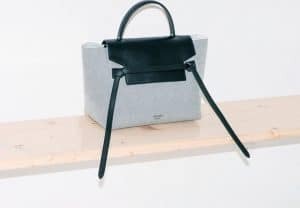 The new version of the Sangle is particularly good because of its versatility: the bag comes with both the wide, short webbed wool strap the bag has always had, which is perfect for one-shoulder carry and distributes weight well–ideal for a sizable work bag. 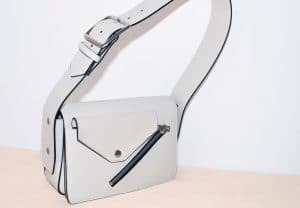 Starting this season, some versions also come with a thinner, longer crossbody strap in leather, which amplifies the already super-functional bag’s versatility and opens it up to consumers interested in a slightly more casual option on the weekends. 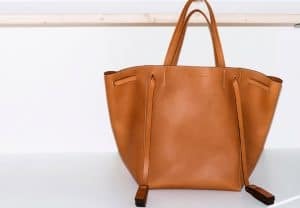 In all, the Sangle is a perfectly discreet work bag that looks expensive and luxurious but doesn’t scream a particular designer’s name at the top of its lungs, and the ample size, multiple interior and exterior pockets and interchangeable straps make it a solid choice for anyone looking for a good bag to take to the office. I didn’t have one on hand to try it, but I bet it would even fit a small laptop. 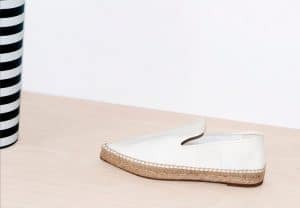 Espadrilles are the perfect shoes and they’re hot right now. They are comfortable, easy-to-wear and most importantly – fashionable. 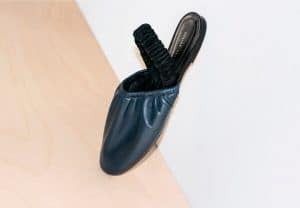 There are plenty of Espadrilles available, but have you checked the Celine Babouche Espadrilles? 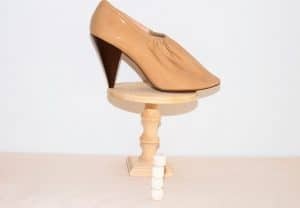 Actually, it’s quite obvious; the only high fashion brand that creates the V-Neck design on shoes is Celine, just take a look at the top. Now let’s us explain the name ‘Babouche’, you see, Babouche is a slipper style that’s originally from Marocco. 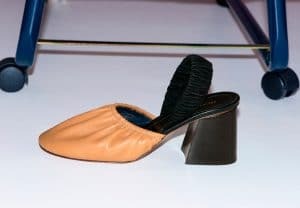 The idea is a pair of slippers that lacks a heel or quarters. 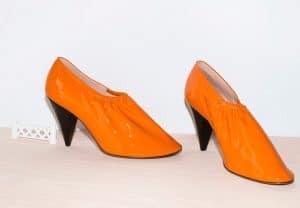 Babouche is also a French word for slippers. 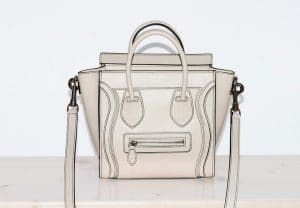 It’s nothing you haven’t seen from Céline before, but with the holidays just around the corner, the last thing you want is to get the wrong present come Christmas day. In other words, to help your better half shop better (or in this case, shop correctly), might I present some luxe leather goodies from the French luxury house you can a) screencap and ‘accidentally’ send a WhatsApp along, b) leave your phone browser on this post so it might get spotted or c) just email the entire damn post and just say what you want. Whichever works best for you, really. So without further ado, here goes. First up, we’ve got the beloved Luggagein its most adorable size thus far, in Nano (shown above). 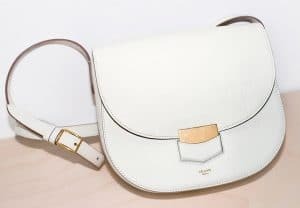 Priced atSGD3900 for this one in creamy Satin leather, it’s also pretty special because it comes with a debossed pattern that shows up only because of the way it is stitched. Next up, there’s the Tri-Fold, which I’ve covered here before. 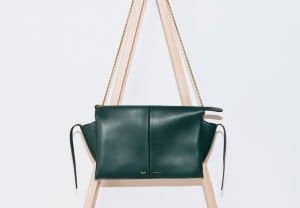 Functional, well-thought out on the inside and in a good size that’s perfect for the modern working woman, this could be yours for just SGD4200, not a bad price for something you can use most every day at work, if you ask me. 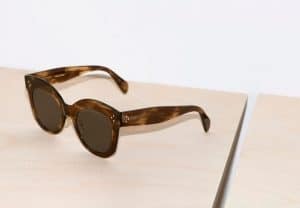 Like the Tri-Fold but want something smaller for casual days out? 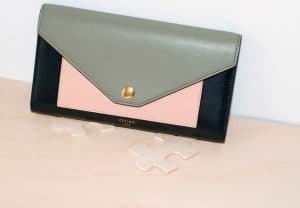 Then check out the Tri-Fold Clutch (SGD2800), which basically has the same shape as the former but made without its pair of top handles. In its place you find a sling, or in the case of this particular style, a metal chain. 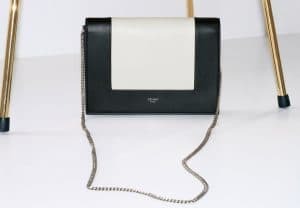 But if you prefer a clutch that’s more structured when it comes to the shape, there’s this, the Frame Clutch that also comes with a metal chain sling. 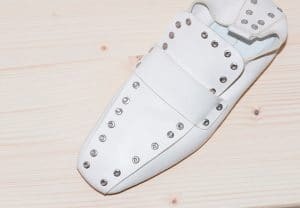 Priced at just SGD1800, it’s made of lambskin leather in a Black/White combo that’s pretty sharp. And easy to match too, especially if your wardrobe is mainly in monochrome hues. Last but by no means least, my own favourite of late, the Trotteur. 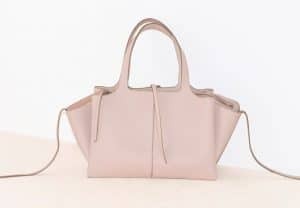 In a half-moon shape that’s suddenly all the rage (yes, Phoebe Philo did it first), this one, in Small, is also the cutest. 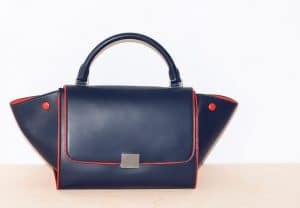 And besides only retailing for just SGD2400, it is also a classic-in-the-making that comes in many other colours as well. In other words, yes. 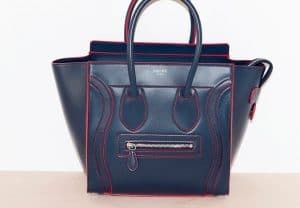 Celine has recently released a lookbook for their December Selection. 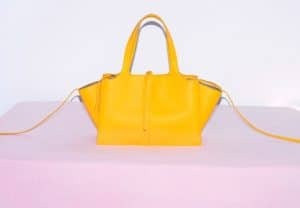 The collection includes handbags, ready-to-wear items, accessories and shoes. The items featured in the lookbook are perfect as presents for a special someone or even for yourself. These pieces are from the brand’s Spring 2017 Collection, including new bag styles such as the Frame Shoulder Bag and Biker Bag.